Come join in on the fun at the After General Conference Soiree, Sister Ann M. Dibb is up now! I have thought long and hard about this, praying that I would know what I needed to do for both you as my readers and for myself and my family. 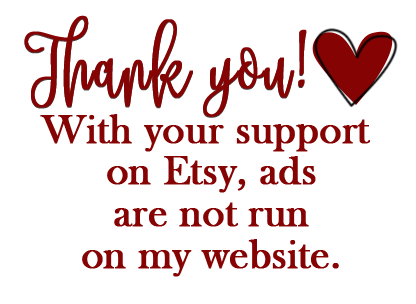 I know that some of you may not be interested or some may never come back, but I've decided to begin allowing sponsors, putting their buttons (there will not be anything blinking at you). If you are interested please contact me at Latter-day Chatter.... you can promote your own blog if you would like to. Each will be family friendly and approved by me. Our first sponsor....is 25 Days of Christ!!! I'm very excited to begin with such an amazing sponsor. This is actually a family who started this in 2008, I believe they were truly inspired! I actually received this in the mail, and let me tell you I'm excited to begin such an amazing tradition. Each piece comes unpainted, so I will be letting my boys paint them the Family Home Evening after Thanksgiving, they may not look like those in the pictures, but that's the point I think to make them my own, I can imagine doing this years down the road and saying that "the boys painted those" I really am looking forward to them doing it to make it their own. The pieces are quality, it comes with a big booklet of instructions and each pieces "meaning". It looks like an amazing tradition to start, filled with Christ, the whole reason for the season! 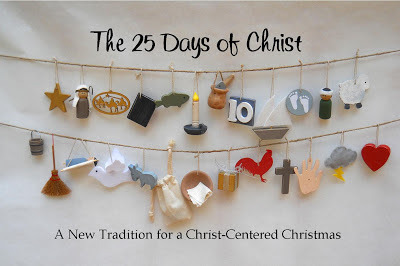 Be sure to check out 25 Days of Christ! NOTE: Apparently, the kits are sold out for this year, I'll contact them and see if they will put up a waiting list or something for those of you interested.